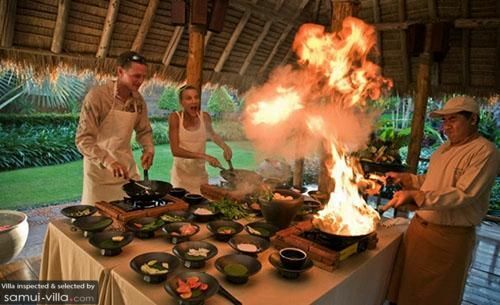 A cooking class with Spice Spoons promises to take you on an insightful culinary adventure. Guided by experienced instructors, you will embark on a tour at the local market, visit organic and coconut farms, and partake in an intriguing temple merit making experience. Delving deep into discovering more about Thai cuisine, you will learn about the diverse flavours, fascinating culture and health benefits of the local dishes and ingredients.